If you follow the news about Fast and Furious series, then you know about the tragic death of one of the Fast and Furious 7 protagonists - Paul Walker - who has starred in many dangerous scenes with automobiles, but ironically died in the car accident. You also probably know that due to his death the shooting of the seventh part of this project has been frozen. But today, Vin Diesel - another star of Fast and Furious series - has announced via his FB account that this blockbuster will be finished, although Fast and Furious 7 release date will take place a year later. If previously it was reported that the seventh part of this series would be launched in July 2014, now its release is scheduled for April 10, 2015. 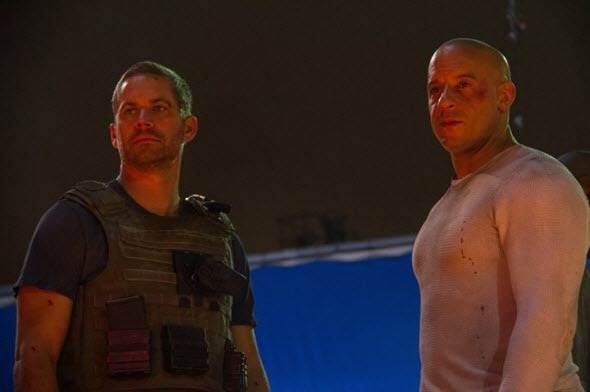 Besides it the famous actor has published one picture of the last movie’s scene where Diesel and Walker are depicted. We have also got to know that the project’s crew and the executive producers are looking for a way to save the already filmed scenes with Paul Walker, and not to start all over again. But so far it remains unknown how they are going to do it. What do you think about all of the abovementioned? Do you think that Fast and Furious 7 movie will be good without Walker? Your comments are always welcomed at the bottom of the page.